Today’s Throwback Thursday is Sable! This tiny little kitten was taken in by a wonderful foster home who has bottled babies before. Bottle feeding puppies and kittens is very hard with a very low survival rate for the babies. Sable is one of the lucky ones. 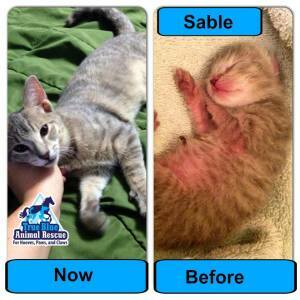 Thank you Simone Belota for fostering Sable! Now he’s a healthy adopted kitten. 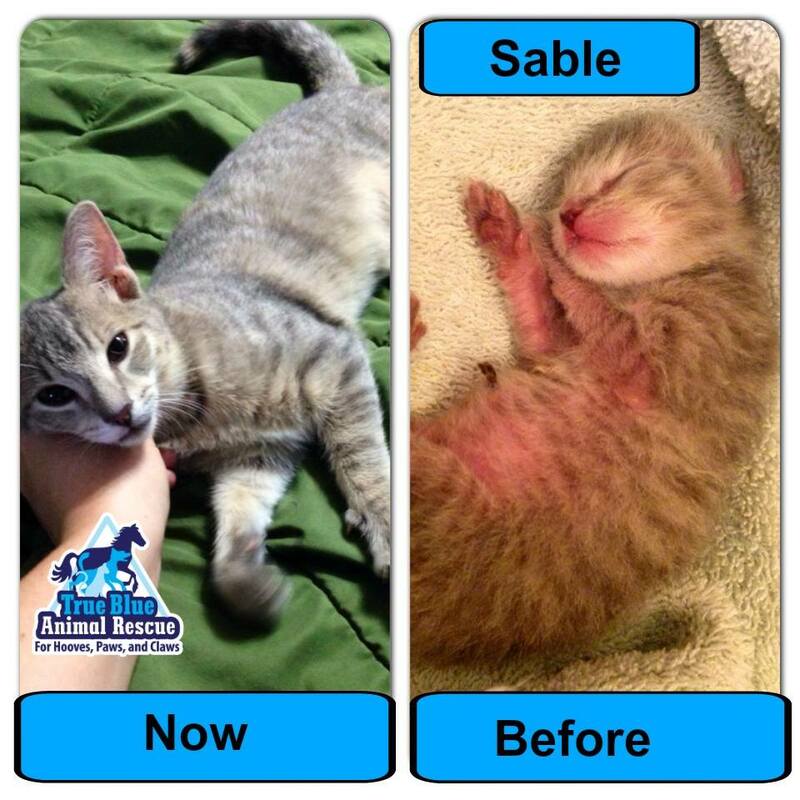 Hooray for Sable! Posted in Cat Success Stories and tagged adopted, Cat, Kittens, Success Story, TBAR, Texas, True Blue Animal Rescue.